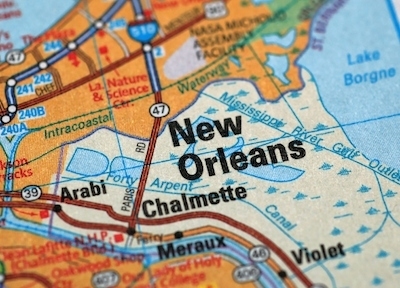 NEW ORLEANS – Porch, a free home network where homeowners and home professionals can connect, in partnership with national real estate brokerage service Redfin, released the results of their “Best Place To Own A Home In America” survey today. New Orleans ranked in the top and bottom ten in multiple categories. • New Orleans rated highest in resident satisfaction and lowest in healthy living. It was above average in commute, security and safety and economic opportunity, and below average in educational opportunity. Cities with similar rankings included Pittsburgh, San Antonio and Atlanta. • New Orleans homeowners also ranked their city #10 out of 67 cities for LEAST HEALTHY. The Best Place To Own A Home In America survey polled a representative sample of 10,007 U.S. homeowners across a variety of dimensions including safety, climate, commute times, access to education, taxes, real estate trends and more to gauge homeowners’ sentiment about the cities and communities where they live. Additionally, Porch partnered with Redfin real estate agents to garner local knowledge about some of the cities discussed in the results. The survey was conducted in July and August of 2015.